Joe graduated with a BS in Mechanical Engineering from the United States Military Academy in 2009. He served as an Infantry Officer at Fort Benning and Fort Carson from 2009 to 2015 including a deployment to Iraq as a Platoon Leader from 2010-2011. 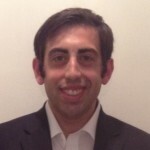 He is in his first year of the JD/MBA program at Northwestern Law School and the Kellogg School of Management. He is happy to help in any way possible with the application and transition process.